I haven’t seen a wild dog since season 4. Are you going to radio collar the cheetahs and wild dogs again ??? Can you send the photo that might be a wild dog? We don’t think there were any in the system before they were reintroduced by TANAPA in Season 5. Unfortunately, as much as we’d love to collar the other large carnivores, current park regulations prohibit it in Serengeti. There are some cool systems in Botswana and South Africa and Zambia that have GPS collars on the entire assemblage of species though! 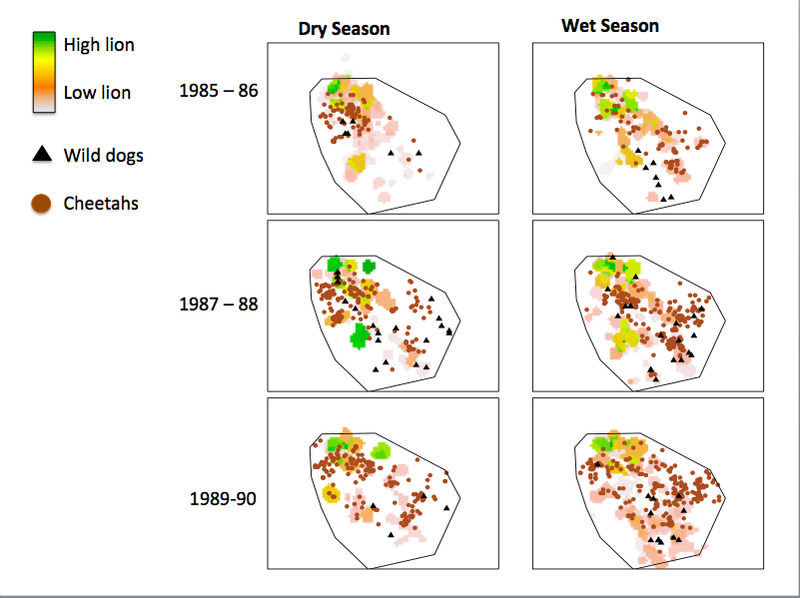 Ali: In looking at the data on the lion/cheetah/wild dog plot it occurred to me that the cheetahs may get more benefit that harm from being close to the lions. Do wild dogs prey on cheetah cubs? Could it be that the wild dogs, in avoiding the lions, don’t predate the cheetah cubs, thereby benefiting the cheetahs?